When Ashburn House resident Joan Bartlett was asked to choose a memento from her time working at the NSW Mines Department, she chose a rock sample that had travelled Australia before finally being identified by her boss as one that would cause turmoil and strife in the years to come. Joan Margaret Bartlett was born on January 5, 1929 at West Ryde. She is the wife of Ron and mother to their children Phillip and Pauline. Joan was educated at Ryde Public Primary School and then Riverside Girls High School. Her lifelong hobbies are cooking, sewing, embroidery and knitting. On completion of her schooling, Joan decided to enter the nursing profession at Ryde District Soldiers Memorial Hospital. However, after a while Joan decided to give up nursing as she was not tall or heavy enough to handle the manual equipment required for nursing in those days. After a lot of thought, Joan took a year off from work to study stenography and secretarial management at the renowned Miss Hale’s Private School of Business Management, where she obtained certification with credit by the Incorporated Phonographic Society of Australia. Back to the work force, her first position was the Private Secretary to the Chairman of The Australian Wool Realisation Commission. This was tremendous change to the physical requirements with the historical equipment and conditions nurses faced in those days. Joan found secretarial work more challenging with emphasis on mental alertness, time management, and perfection in presentation while paying attention to details of what else might be required during long hours of taking notes of Board Room meetings. After a considerable period of time, the wool industry changed and Joan decided to move on. Her next position was the Private Secretary to the Chairman of the NSW Mines Department. The day-to-day work was similar except it was about rocks, not wool. She worked there until the Chairman retired. The day of his retirement came and Joan was asked to choose something as memento. She spent quite some time having a last look at the rocks on her desk and around the room. Joan chose one which she had always liked and was closest to her heart. It was a rock sample with history. The rock had travelled greatest distance around Australia but was unable to be identified by numerous people until it came to the Chairman. He explained to Joan its history in detail, and emphasised that this material would cause turmoil and trouble around the world in years to come. The rock was given to Joan in appreciation for her years of devotion as his secretary. It was the original sample of uranium! Her next job was closer to home. The position was the Private Secretary to the Chairman of a well-known paint company at that time. The first day was a completely different situation to those of previous. The Chairman sat behind a desk inundated with papers, ready to be shuffled again next day. However, things changed next day before he arrived at work. Not only the desk was cleared and dusted, there were a couple of blunt pencils sharpened. He was aware that he now had a private secretary and from then on he had adjusted to the new working arrangement. When Joan started her family, her world changed. She had swapped the office hours to work 24/7 nonstop unpaid work at home. This was a long term commitment, eventually replaced by a period called relaxation, with work and travel in between. traffic, wonderful food and accommodation, lots of animals, together with 22 hours of sunlight every day for three months in summer. But in mid-winter, it is 22 hours of darkness and the ground is minus 60 degrees Celsius, which means that sufficient graves must be dug during summer! No one leaves any food scraps outdoors at any time, as it attracts visitors like 2.4 metre tall grizzly bears. 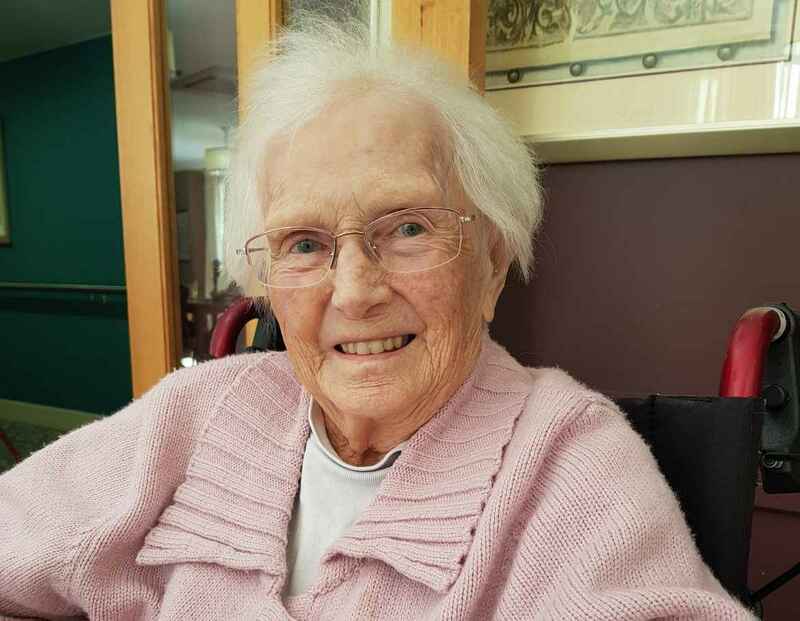 After a lifetime of work, Joan now lives with fond memories of the above, together with her two children, three grandchildren and three great grandchildren.